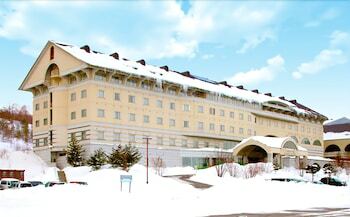 When you stay at Palcall Tsumagoi Resort in Tsumagoi, you'll be steps from Pallcall Tsumagoi Ski Resort. Free self parking is available onsite. With a stay at Piccola Casa Kyoto, you'll be centrally located in Kyoto, a 4-minute drive from Toji Temple and 12 minutes from Nijo Castle. With a stay at this vacation home in Kyoto (Karasumaoike), you'll be within a 15-minute drive of Kyoto Imperial Palace and Nijo Castle. Free self parking is available onsite. Located in Kyoto (Sanjo), Masuya Ryokan is within a 10-minute drive of Heian Shrine and Gion Corner. Featured amenities include luggage storage and a safe deposit box at the front desk. With a stay at CMM Kyoto Ekimae in Kyoto, you'll be a 3-minute walk from Kyoto Tower and 8 minutes by foot from Higashi Honganji Temple. Located in Monbetsu, Hotel Okhotsk Palace is a 5-minute drive from Okhotsk Shinrin Park and 9 minutes from Okhotsk Sea Ice Museum. Free self parking is available onsite. Located in Nasushiobara, Ryokan Kamiaizuya is within a 15-minute drive of Myounji Temple and Mikaeri Waterfall. The front desk is staffed during limited hours. Free self parking is available onsite. With a stay at Ohruri Sanso Nikko in Nikko, you'll be a 1-minute walk from Nikko Yumoto Onsen and 6 minutes by foot from Nikko Yumoto Ski Area. Free self parking is available onsite.